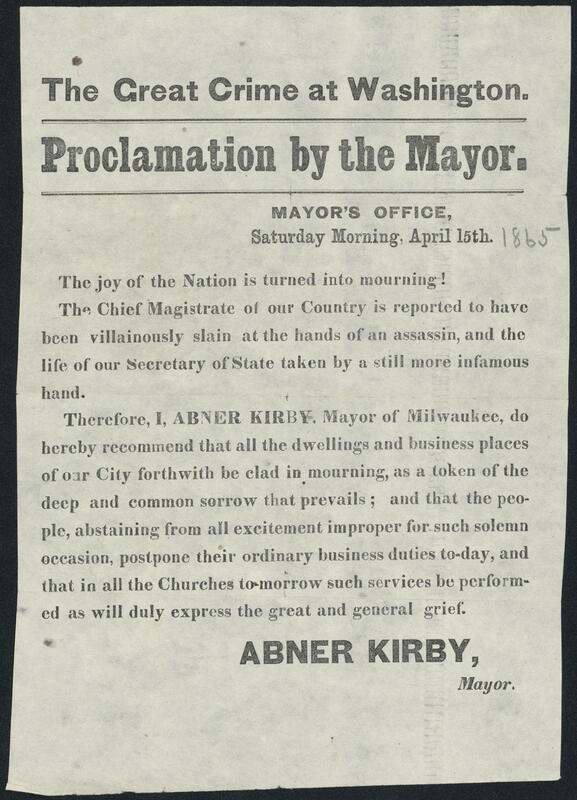 Proclamation by Mayor Abner Kirby of Milwaukee, WI. He tells of Lincoln's assassination and incorrectly claims that Secretary of Seward was also killed "by a still more infamous hand." He then recommends that "all dwellings and business places of our City forthwith be clad in mourning as a token of the deep and common sorrow that prevails."